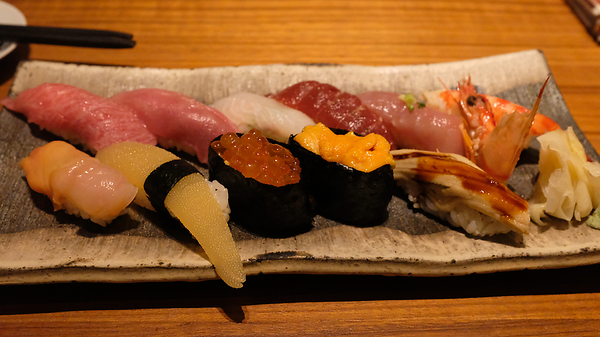 Two of the nice things about sushi in Tokyo is that they are assembled with wasabi and soy glazes, and they are served at skin temperature making them a pleasant sensation in your mouth. 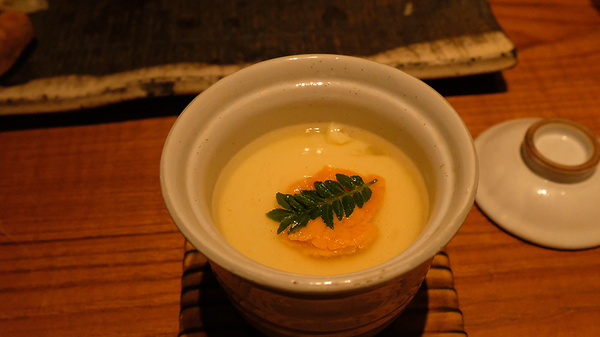 Egg custard (chawanmushi) with sea urchin. I can think of nothing better than a blissed out, love up trip at the moment, and this suchi would be top of my wish list! !